It’s finally time to come out of those shells, cocoons and dens after 6 months of winter gloom and hibernation. Mother Earth is drenched well and purely fertile to give birth to the new plants. Trees are happy to wear green once again and to see their friends, the fellow birds and squirrels. Chirps and tweets of singing birds call out that spring has finally arrived. Smell of fresh flowers and green carpet of new grass along with yellow dandelion flowers make spring the best season of all. Though each season of Canada is eye-pleasing, it has its own natural beauty but spring is something when dead comes alive. Trees teach us to be strong by standing still throughout the winter with harsh wind, snow and unforeseen weather each and every year and then come alive yet again when spring season blooms. Mother Earth wears gorgeous green gown with colourful decorations of multicolored flowers, divine. These pics are a few years old. 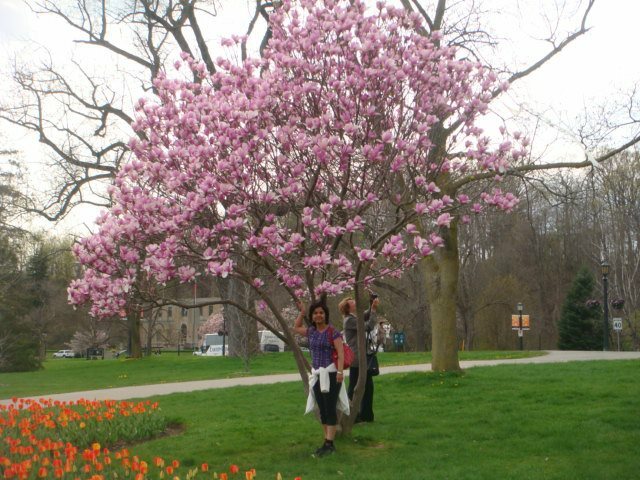 Cherry blossoms in Niagara Parks can enhance your spring weekends; pink bloomed Cherries look terrific and are picture perfect. 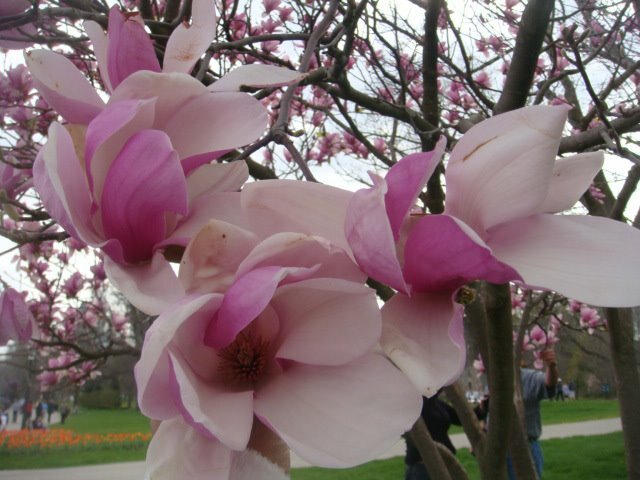 Due to cold climate this year, it has been delayed for a week but May is the best time to visit there if you’re fond of Pink Cherry flowers, tulips and magnolias. Parliament hill in Ottawa holds Tulip Festival each year, High Park is famous for Cherry blossoms; it’s where Torontonians look for cherries every year, it’s a flower season and who doesn’t adore them. Niagara Falls can be your weekend out this May. 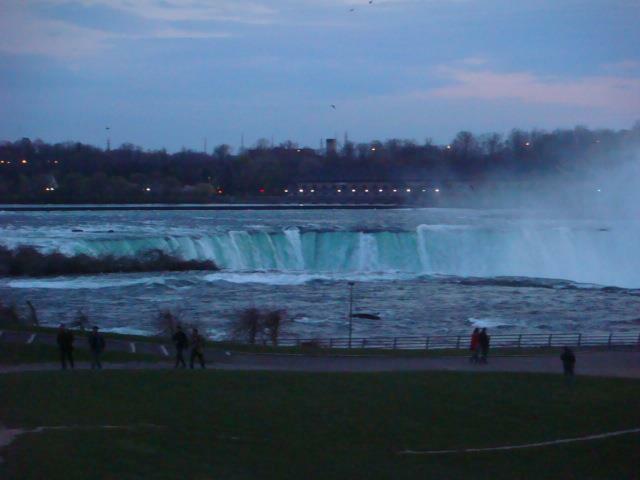 No matter how many times you visit here, Niagara Falls always looks wonderful and welcoming!!! One of the seven natural wonders of the world is located at the border of Canada and United States. Though Falls are visible from both the sides but Horse Shoe Falls in Canada attracts a lot of tourists from all over the world every year. 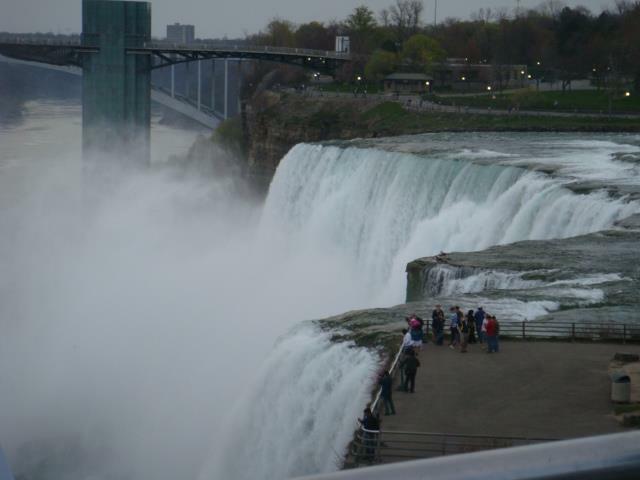 Canadian side has better fall view while my favorite in American side is standing over the Falls; it looks so close, feels nostalgic. 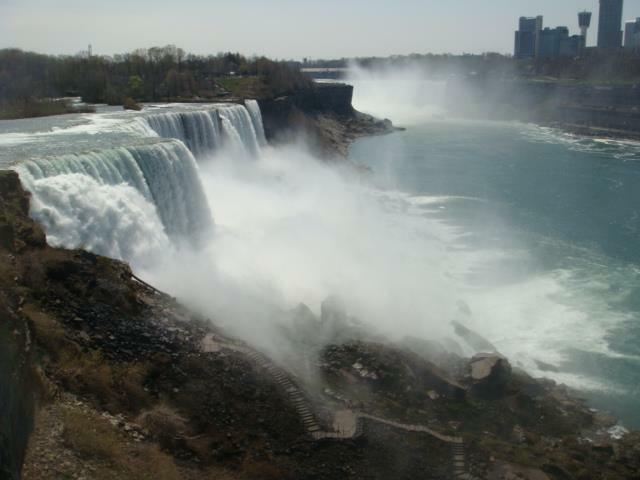 Eye-catching beauty of Niagara Falls cannot be narrated in just a few words, it’s mesmerizing. You will feel like, just sitting and admiring the persona and beauty of Mother Nature. 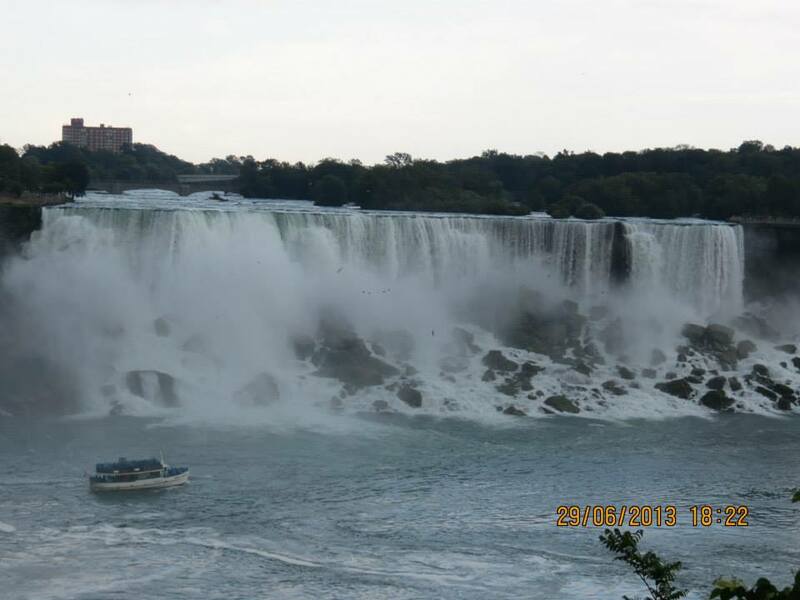 Tourists from both countries also get a chance to feel it closely with a boat tour that takes them in the midst of the Falls. “Maid of the Mist” is a must try when you are in the city. Niagara Falls marketplace will give you a taste of LasVegas, vibrant night lights, Ferries wheel, Dinosaur Park and a lot of kid’s activities will enlighten your day and night; it’s certainly a summer paradise for locals and visitors. At night when the laser lights touch the crystal clear water, it looks like colourful guitar strings. Summer nights will also hold fireworks on the Falls. You must be there during the sunlight and experience the night laser view to get complete feel of the city of Niagara Falls. If you decide to adventure the Ferris wheel, the best time will be in the sun light, I didn’t find it worth at night. 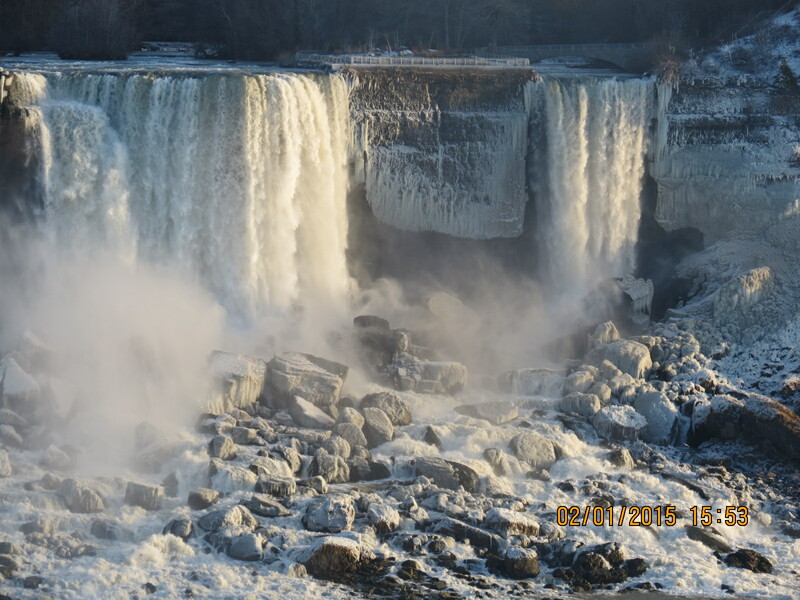 Though most of the people visit it during spring and summer months, winter in Niagara Falls is another experience. Falls gets completely frozen sometimes due to severe weather conditions, giving spectacular panorama, people even enjoy hiking and walking on the river. 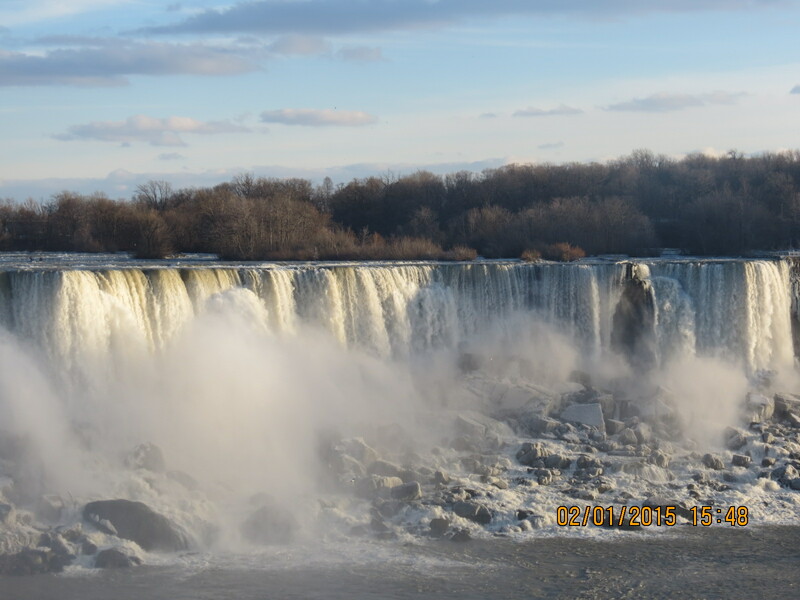 Our New Year trip to Niagara Falls this year was wonderful. What could be better than to begin the New Year sitting in the lap of nature!!! Our stay at Sheraton hotel was fantastic; we enjoyed night lights and fireworks sitting in our overlooking Falls view room. Our morning coffee was blessed with the morning sun and sparkling Falls view. There’s a lot to do with kids and families even in the winter months, like big arcade area at Sheraton hotel, 4D theaters, Rainforest Cafe, Falls view Indoor water Park and much more. It’s a bit chilly to walk in winter but if you’re all bundle up, it doesn’t stop you to catch the glimpse of the Falls and enjoy the surroundings. Niagara Region as a whole has many more other attractions including Vineyards where you could visit for Wine tasting, Floral Clock where you’ll find various different colors and types of flowers and Niagara on the lake could be in your to do list while visiting Niagara Falls. 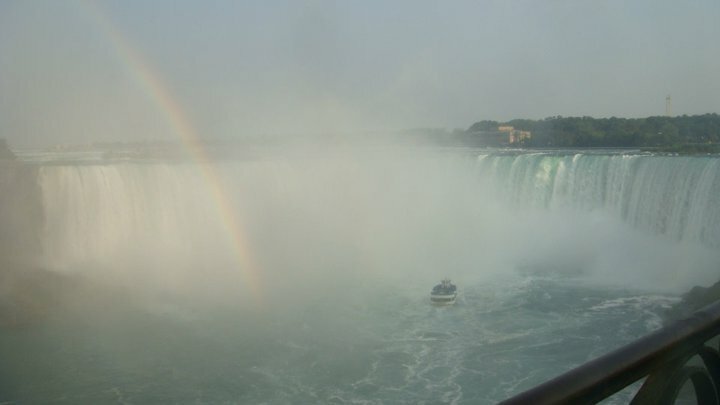 For me, walking on Rainbow bridge which connects Canada to United States and to witness completely frozen Falls, are on my list soon in Niagara. Blessed to be located within a few Kilometers away from this major tourist attraction of Canada. Previous Post It’s New York Baby!!! Thank you for words of praise and time to read it, appreciate it.